A recent trend in hip replacement surgery has been to perform the surgical procedure through smaller and less invasive approaches. The idea of this method of surgery is to perform the same procedure with less disruption to the surrounding muscles and soft-tissues. By performing surgery through smaller incisions, with less soft-tissue dissection, it is hoped that patients will have less pain and a faster recovery. Surgeons have used an anterior approach to perform surgeries for people needing hip repairs for decades. 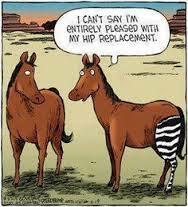 Anterior hip replacements have been described in America since the 1980s and have gradually gained popularity. The anterior approach hip replacement is a muscle-splitting approach, meaning that the surgeon gets to the hip between two muscles, rather than by removing and then reattaching a muscle. Surgeons promoting this procedure note that because the operation spares muscles, patients don’t need to limit their movement during the recovery period. The advantage is thought to be that rehabilitation can proceed more quickly by not having to allow the reattached muscle to heal. Despite optimism and support for this new technique, not all orthopaedic surgeons are convinced the anterior hip replacement offers significant advantage over traditional approaches. The operation has a steep learning curve and is not common in training during orthopaedic residency programs. In conclusion, surgeon skill and experience is by far the most important factor. Doctors who perform many hip replacements in a year have lower complication rates, no matter what approach they favor. It is important to have a discussion with your doctor as to benefits and risk of a hip replacement surgery and what would be best for you. Dr. Cabezas brings his experience from one of New Jersey’s busiest referral institutions, where he was trained in the latest techniques and advancements in orthopaedic sugery. He is a graduate of the University of Medicine and Dentistry of New Jersey, where he also recently completed his residency. He is a veteran of the U.S. Army, serving under Operation Enduring Freedom while stationed in Fort Gordon, Georgia. His time as a combat medic and laboratory technician in the military has helped him refine his ability to work with a variety of individuals. Being fluent in English and Spanish, he brings comprehensive care to a wide population of patients. Dr. Cabezas is a Board-Eligible Orthopaedic Surgeon, as well as a member of the American Academy of Orthopedic Surgeons.